On April 27th the newspaper USA Today had an op ed article jointly written by AFT President Randi Weingarten and Michael Bloomberg on how teachers are poorly paid and not treated as professionals. While I agree with the op ed, I also think the two authors are hypocrites. 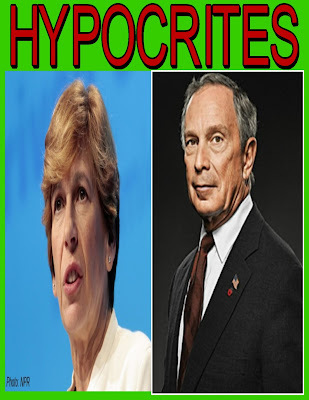 Both Randi Weingarten as UFT President and Michael Bloomberg as Mayor of New York City collaborated to create the teacher narrative in the first place and made a more hostile classroom environment for the New York City teachers. It wasn't long ago that Michael Bloomberg went after teachers with a vengeance. Remember what he did as Mayor of New York City? Refused to give teachers the citywide negotiated 4% raises for 2008 and 2009. Tried to pass legislation on "last in, first out: to eliminate teachers without due process. Wanted to reduce teachers by 50% by raising class sizes to 70. Closed 162 schools and most veteran teachers were dumped into the ATR pool. 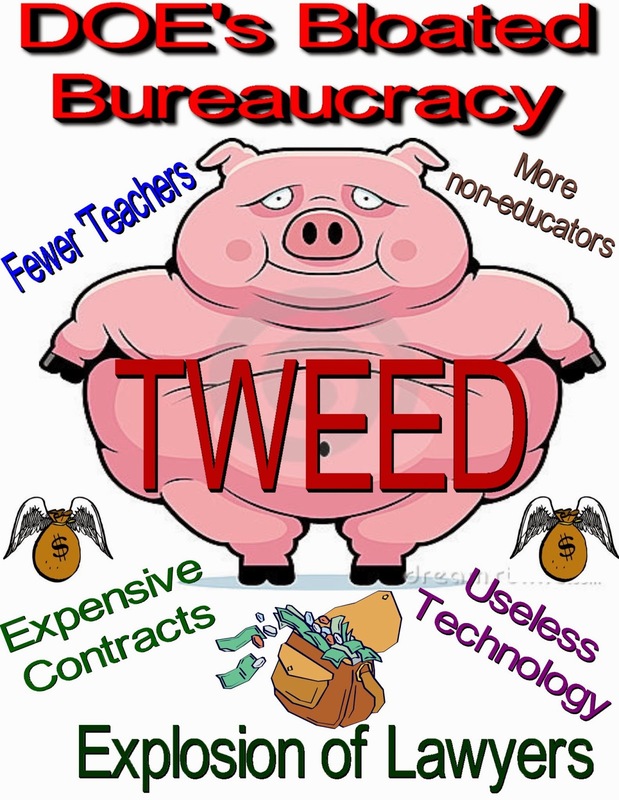 Imposed "Fair Student Funding" that incentivizes principals to hire cheaper "newbie teachers". Removed the seniority transfer system. Created the ATR pool that reached over 2,500 excessed teachers. Saw a sharp rise in 3020-a charges and hired more lawyers to prosecute teachers. Hired non-educator managers that made the DOE the enemy of teachers. Supported and encourage the rise in charter schools while closing public schools. Refused to reduce class sizes, despite calls to do so. Parents were ignored and left out when they objected to school closings. Supported-the Bill Gates inspired small schools which even Bill Gates found not to improve student academic achievement. Required a longer school day for raises the barely exceeded the inflation rate. Of course UFT President, Randi Weingarten, was a willing collaborator to Mayor Bloomberg's attack on teachers. She allowed many of the Bloomberg inspired anti-teacher policies to be implemented. Allowed the elimination of the seniority transfer system and the rise of the ATR pool, mostly consisted of veteran teachers. Allowed the DOE to implement the "Fair Student Funding" policy. Agreed to the terrible 2005 contract that was "giveback" laden and made teaching more difficult. Approved the reduction of the TDA's fixed income fund interest rate from 8.25% to 7.00%. Agreed to remove teachers accused but not convicted of felonies or sexual misconduct to be suspended without pay or benefits. Now, the two of them are advocating for higher teacher pay and treating teachers as professionals. While some people may believe they are sincere, I for one know better since I saw what Randi Weingarten and Michael Bloomberg did in New York City and their agreed policy changes has made the New York City classroom a hostile environment as the Bloomberg managers that run the DOE is considered the enemy by most, if not all teachers. Both AFT President, Randi Weingarten and ex-Mayor Michael Bloomberg are hypocrites. Read the NYC Educator blog for his take on the "op ed" article. Here are some of my posts that show what they did while in power in New York City. Is MORE Unraveling As It Shifts Left? There are some disturbing rumors that the opposition caucus MORE has turned sharply leftward and has made some long-term members uncomfortable about remaining in MORE. Apparently, the MORE steering committee has removed those moderate members who opposed this new leftward ideology. In MORE's proposed contract negotiations, MORE is long on social justice issues and short on teacher rights They want to join forces with the militant far left organizations and proposes risky work stoppages and job actions along with rhetoric that emphasizes civil rights and social equity over teacher rights. I never joined MORE because of the influence of the left faction, which, if not communist is close to it. Now it seems they have taken control of MORE and has shifted the opposition caucus to the far left and I believe that the moderate members of MORE will be asked to leave or leave on their own and form another opposition caucus, probably ICEUFT. Read Norm Scott's article to get an insider's perspective Here. James Brown Is Back Once Again. It has come to my attention that James Brown is back on the DOE payroll. Now he is assistant Superintendent under the infamous Juan Mendez. For the uninformed, James Brown was an administrator on Long Island in Baldwin and was found guilty by a jury in a civil complaint of harassment and retaliation and cost the school money to settle the case. 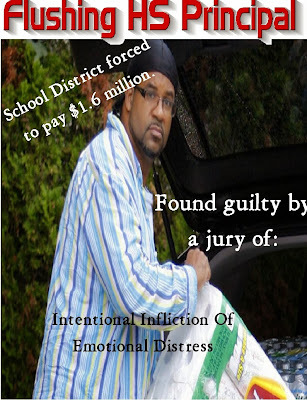 Mr. Brown was removed from the Baldwin school in 2009 and was sent to the District office, away from the children, until he resigned in 2012. Mr. Brown was also accused of saying sexually inappropriate comments. While at Baldwin, Brown was accused of remarking on the tightness of a female student’s pants, said a federal lawsuit against him. He also said to the female dean to make a school report “tight as a virgin’s, well, you know what is tight on a virgin,” she reported. In September 2013 a new Principal was appointed for the troubled Flushing High School and it was the one and only James Brown . In a Walcott administration that claimed "zero tolerance" for sexual issues, James Brown was hired despite his past. You can read it Here. Mr. Brown lasted all of one year before being replaced and ended up in a DOE back office before leaving for the charter schools and most people thought that was the end of James Brown. Fast forward to 2018 and James Brown is now assistant superintendent for Juan Mendez. How the hell did he get back into the DOE? Violence, Threats, And Bullying Against School Staff Increases Under Bill De Blasio. When Bill de Blasio became Mayor, he weakened the student discipline code, allowed student cellphones use in the schools, and reduced student misbehavior that had previously resulted in arrests or suspensions. The result was that the De Blasio administrationhttps://nypost.com/2018/04/21/students-attacked-threatened-thousands-of-school-employees-last-year/ shwed student arrests and suspensions wewre down and the schools were safer. While school arrests and suspensions are down, due to lax discipline rules, school have becoming more unsafe. The New York Post had an article that showed an increase in student assaults and threats against staff. The numbers are very disturbing. The latest numbers show an unacceptable increase of 4,5% from the previous year and a 11.8% increase from two years ago. “The mayor’s narrative is that the schools are safer, crime is down. These stats show crime is not down. 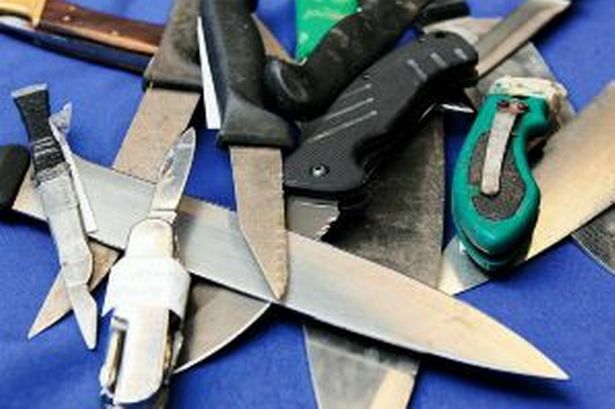 Assaults are high, threats are high,” said school-agent union leader Gregory Floyd. The bottoim line is that the schools are more unsafe then ever. Is The DOE Really Collaborating With Teachers? and that they have a good relationship with the teachers union and teachers in general. The truth is the classroom teacher finds the DOE the enemy and for good reason. First, the DOE continues to impose Fair Student Funding on schools that penalize schools who hire veteran teachers and forced principals to"hire the cheapest rather than the best teachers for their school". Second, the DOE only funds the schools at 90% of their fair funding. While the bloated bureaucracy continues to eat up precious funds. Third, the DOE continues to target veteran teachers through the 3020-a process as the numbers are as high as in the Bloomberg era.anti-teacher Danielson program to evaluate teachers and insists on four observation per year. Rather then the DOE being a correlative partner, they are considered the enemy of the classroom teacher and for good reason. Chancellor Carranza's Idea Of An Effective School. While I agree with the new Chancellor on all but one item. However, let's see if he practices what he is preaching by removing the far too many bad and incompetent principals in the system. When Carmen Farina was appointed Chancellor she mentioned that there were 400 principals that need to be removed. How many did she actually remove? About a handful. Let's see if the new Chancellor actually removes the weak leadership that are common in the New York City Public School system. When it comes to excellent teachers, since the Guliani era the word"excellent" means inexpensive and untenured teachers. Memo to the Chancellor, there are many excellent teachers in the ATR pool aand many veteran teachers will transfer if it wasn't for DOE hiring policy that penalizes principals who hire veteran teachers, The Fair Student Funding formula needs to be eliminated before the word "excellent" means what it should mean. Eliminate or severely reduce "credit recovery" courses. 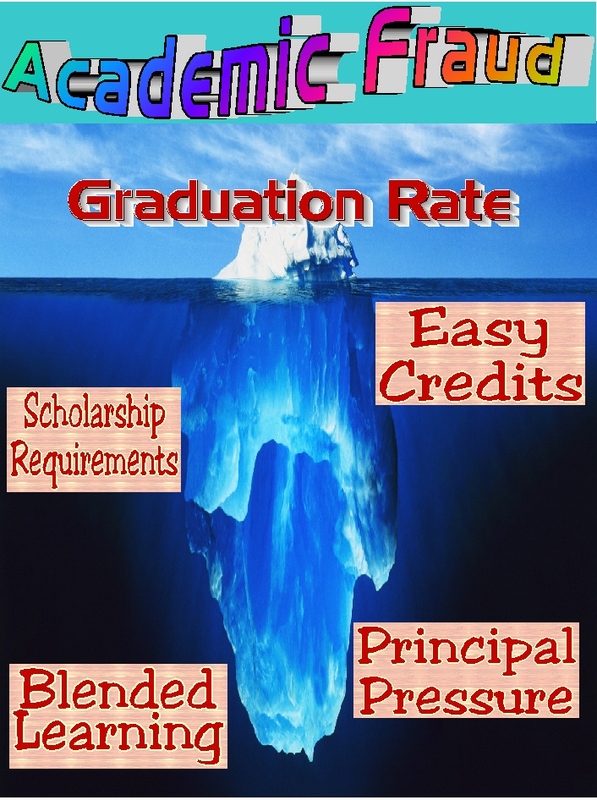 Stop imposing scholarship requirements, and make the courses "college and career" ready. Only 3 out of every 10 students are ready for the adult world. If social and emotional learning means restorative justice instead of a suspension or does it mean giving out "warning cards" instead of being arrested, then I am skeptical. To the Chancellor, its one thing to say what is needed, its another thing to get the bloated Bureaucracy at the DOE to implement those changes. You can read what the new Chancellor proposed Here. Academic Fraud Is Pervasive In The NYC Public School System. One of the challenges the new Chancellor must address and correct is the "academic fraud" issue. While graduation rates keep going up, the "college and career readiness" rates are abysmally low, with 3 out of every 4 high school graduates are subject to no credit remedial course work and many employers complain that the high school graduates are found lacking in academic skills to do the job properly. The academic fraud is due to DOE pressure on schools to raise their graduation rate "by any means possible". That includes "credit recovery" programs that lack any rigor or even an instructor!, scholarship quotas that require up to 85% of the students in the classroom to pass, and Principal pressure to pass failing students or get a negative evaluation. In yesterday's New York Post there was an Opinion piece by a retired teacher who worked at John Dewey High School and described how the DOE stubbornly refused to take action against the Principal for her "easy pass" program that skyrocketed the graduation rate but hurt students academically. You can read it Here. 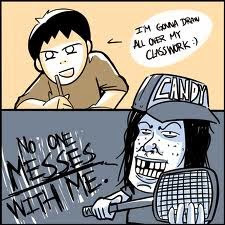 Academic fraud is pervasive throughout the school system and is a running joke. Until and unless the new Chancellor addresses the academic fraud issue, all other changes will not alter the educational landscape where students graduate unprepared for the real world. For example for teachers the disciplinary 3020-a hearings for educators will require the educator to pay for private lawyers rather than be represented by NYSUT attorneys. Moreover, welfare benefits can be withheld, depending if it's contractual. 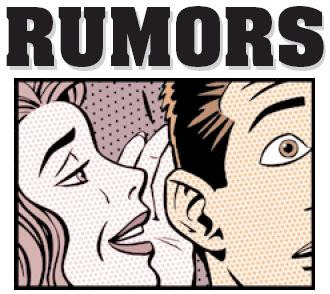 Finally, internal investigations might require the educator to hire a private lawyer to represent them rather than be supplied by a union official when interviewed by investigators. The other item tucked into the budget is that union dues are fully deductible by the State. 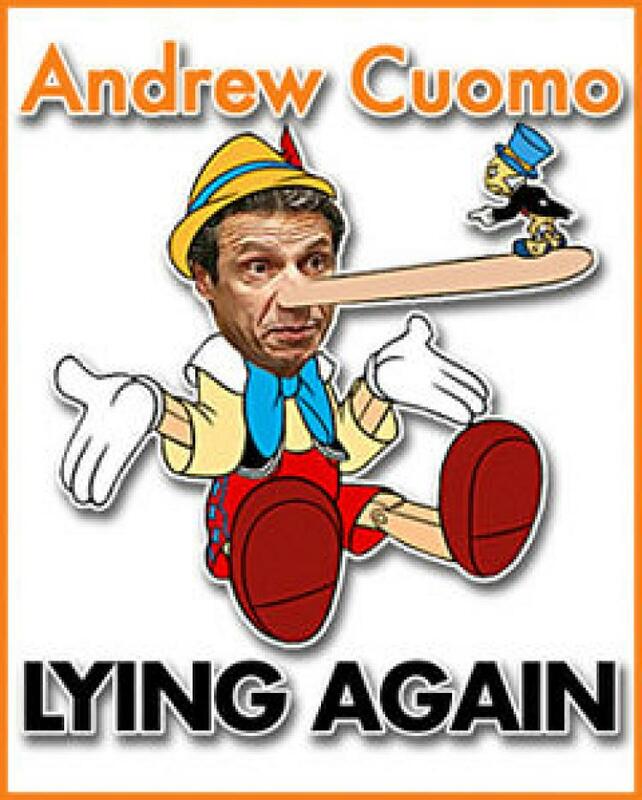 Obviously Governor Cuomo is appealing for union support and wants to put in the past his pro charter school stance, the underfunded .education budget, and the punitive teacher evaluation system he rammed through despite teacher opposition. Let's not forget his support for education deformer John King as NYSED Chancellor. Once he is reelected look for the Governor to change his pro union position once again. I guess most of us will still be paying union dues even after the Janus decision. 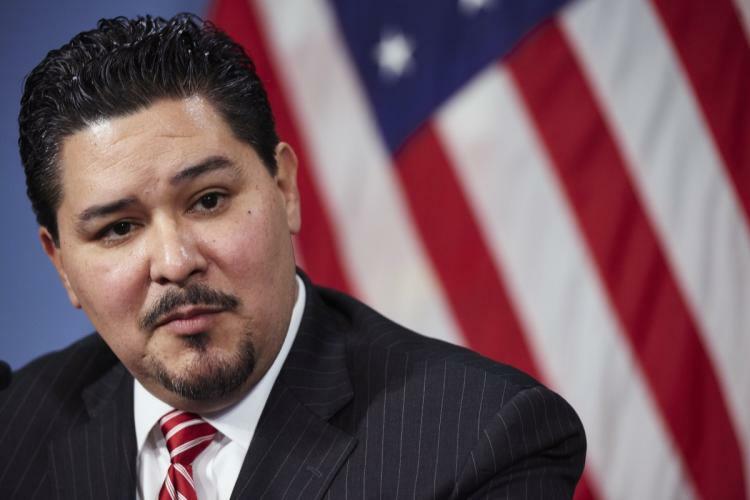 Less than a month on the job, Chancellor Richard Carranza has already questioned the Renewal Program and the ever changing criteria used to determine if a Renewal school closes or stays open. According to the new Chancellor, everybody he speaks to have a different idea what the goals are. Welcom3e to the DOE Mr. Carranza, where up is down and down is up. The reason the new Chancellor is confused about the goals of the Renewal program is that most Renewal schools are overseen by failed administrators who were removed from their schools for various reasons. The overall supervising superintendent was Ammie Horowitz who has been refereed many times in this blog. Reduce the high teacher turnover. Encourage experienced teachers to apply. Reduce the bloated Renewal program administration. 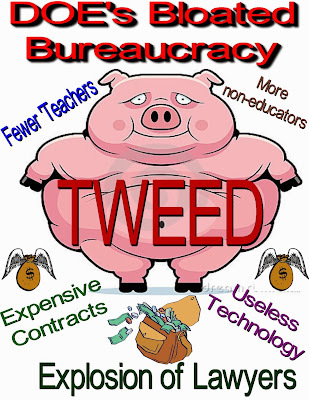 Stop making it a dumping ground for failed administrators. Then and only then will the Renewal Schools have a real chance to escape the Renewal program.